Google proves once more that it’s more than an Internet company. 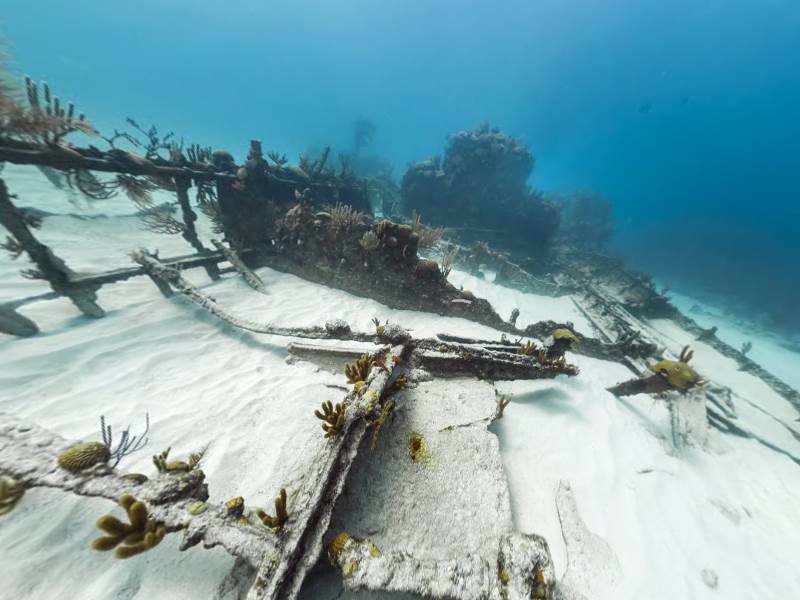 After mapping a large part of the web with their online search service and after mapping Earth with their Google Maps service, they went one step further and analyzed in the smallest detail the Mary Celeste ship wreck which lies on the southern coast of Bermuda. Wrecked in 1864, Mary Celeste gathered a lot of attention in the 20th century. The ship has become a favorite destination for those who are studying wrecks found in the deep of the seas and oceans. Google made the experience available to every Google user, allowing us to view astonishing images of the ship which is at a depth of about 20 meters. Mary Celeste was a paddle ship that was sunk in a mission where it had to carry ammunition for the Confederate forces in the American Civil War. The ship has a length of approximately 75 meters and was built in Liverpool by William C. Millier & Sons. Although it carried ammunition during the war, the ship was created for another purpose. Before departing for its last mission, Mary Celeste carried cotton and food. According to the history, the crew managed to survive the shipwreck. You can view the wreck and other underwater locations on the Google Oceans page.